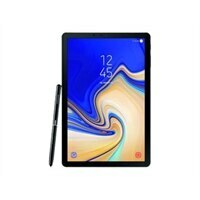 Samsung Galaxy Tab S4 - tablet - Android 8.0 (Oreo) - 64 GB - 10.5-inchExplore, work and watch your favorite shows on a clear and stunningly brilliant screen. Transform your Galaxy Tab S4 into the PC experience with the taskbar you're used to with the DeX. Create a PowerPoint presentation and revise budgets in Excel at your favorite café. Then edit, sketch and capture inspiration with the included S Pen. And using far field mics, you can even control your Tab S4 from a distance with Google Assistant.